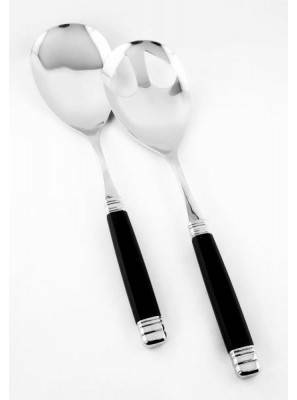 Rivadossi Sandro colored cutlery is made with extremely innovative and quality materials, paying attention to fashion trends. 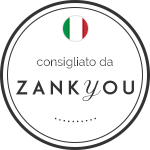 The entire company production is 100% Made in Italy to guarantee a qualitative excellence. 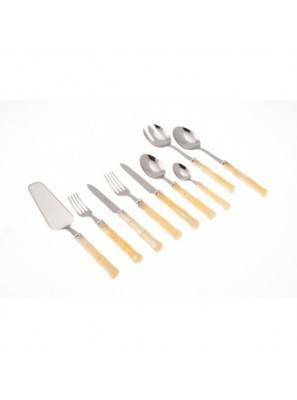 Rivadossi ensures flawless tables in all circumstances, offering a wide selection of cutlery suitable for all types of table, with many accessories to accompany the meal from the beginning to the end. 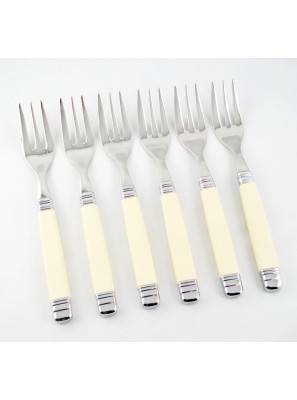 For every model of cutlery, in addition to the table setting, there are also cutlery for serving salad, dessert, ladle for rice or small ladle for sauces, roast knife and roast meat fork, forks for appetizers. 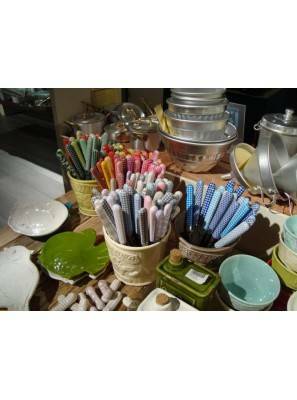 The Bamboo cutlery is sober, essential with bright colors. The handle in mother-of-pearl colored methacrylate with light effects and vivid colors represents the Bamboo plant, typical of Asian regions. The chromed brass ring is simple, glossy, round to follow the shape of the handle. 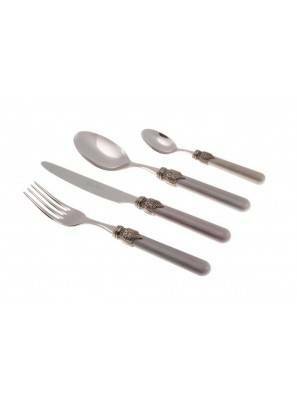 It is the modern cutlery ideal for Japan, boho, ethnic and green tables. Dishwasher safe max 65 °.